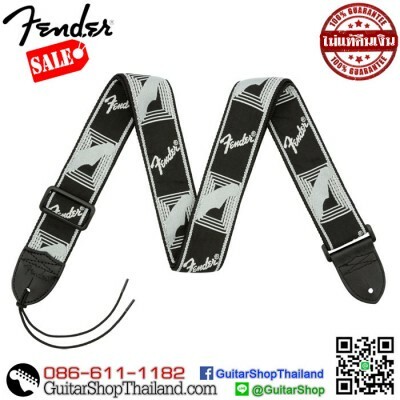 Condition: New สายสะพายกีตาร์ Fender® 2” Monogrammed Straps BlackFender Parts Number: 0990681543Fender’s most recognizable strap is now available with a comfortable nylon underside for an ultra-comfortable fit and six different color options for even more Fender personality.FEATURESFully adjustable length (44”-52.5”) provides versatile fit for most players.Woven Fender logo and guitar headstock design provides a timeless look.Polyester backing provides eminent support onstage and o.. 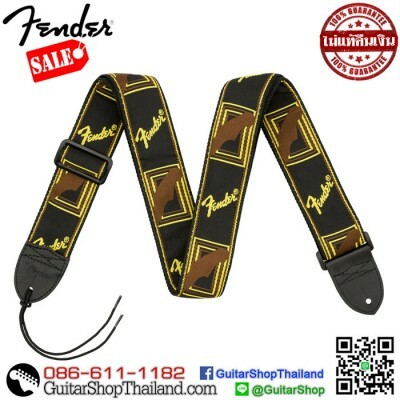 Condition: New สายสะพายกีตาร์ Fender® 2” Monogrammed Straps BrownFender Parts Number: 0990681000Fender’s most recognizable strap is now available with a comfortable nylon underside for an ultra-comfortable fit and six different color options for even more Fender personality.FEATURESFully adjustable length (44”-52.5”) provides versatile fit for most players.Woven Fender logo and guitar headstock design provides a timeless look.Polyester backing provides eminent support onstage and off.Le.. 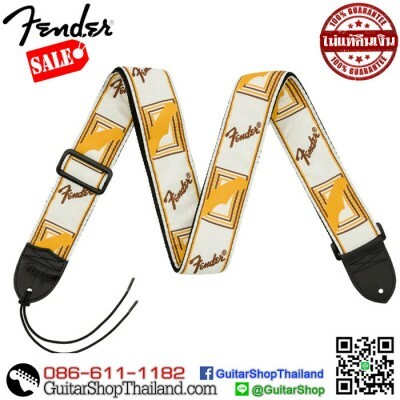 Condition: New สายสะพายกีตาร์ Fender® 2” Monogrammed Straps WhiteFender Parts Number: 0990683000Fender’s most recognizable strap is now available with a comfortable nylon underside for an ultra-comfortable fit and six different color options for even more Fender personality.FEATURESFully adjustable length (44”-52.5”) provides versatile fit for most players.Woven Fender logo and guitar headstock design provides a timeless look.Polyester backing provides eminent support onstage and off.Le.. 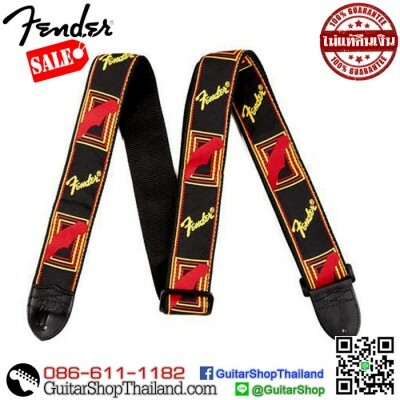 Condition: New ปุ่มคล้องสายสะพายกีตาร์เฟนเอร์สีเงิน Genuine FENDER original strap buttons Part Number 099-4915-000 For Stratocaster / strat. Telecaster / tele. These are real fender and are. Fender custom shop vintage guitars. Replacement parts. 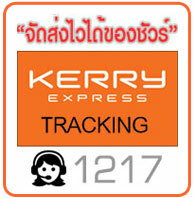 **กรณีซื้อสินค้าหลายรายการค่าจัดส่งสารถคิดรวมกันได้ .. Condition: New ก้านคันโยก Fender Squier 6mm Thread Trem Arm Chrome with Black Tip Fender Part No. 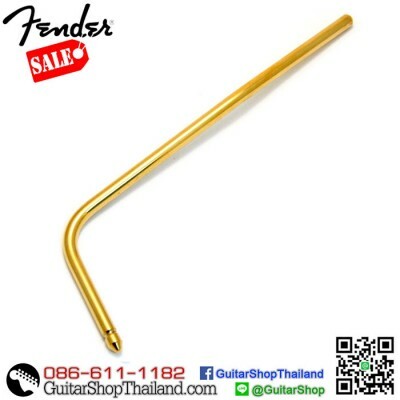 0073861000Fender Squier Tremolo ArmLarge Threadเกลี่ยว6mmChrome with Black TipThis size tremelo arm is used on a lot of guitars made in China.ข้อมูลสินค้าเพิ่มเติมจากเว็บFender USA *กรุณาตรวจสอบขนาดและรายละเอียดของสินค้าให้แน่ใจว่าตรงกับสิ่งที่ท่านต้องการก่อนทำการสั่งซื้อ .. 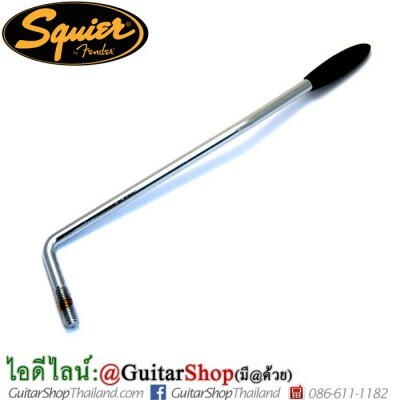 Condition: New ก้านคันโยก Squier® Large Thread Tremolo ArmFender Part No. 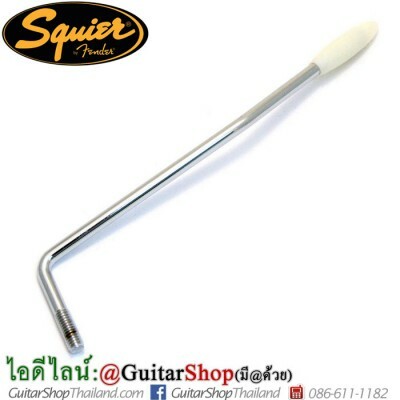 0041359000Chrome tremolo arm with white tip, for use on most Squier Standard series guitars.FEATURESChrome-plated tremolo armWhite tipFor most Squier Standard series guitarsThis size tremelo arm is used on a lot of guitars made in China.ข้อมูลสินค้าเพิ่มเติมจากเว็บFender USA *กรุณาตรวจสอบขนาดและรายละเอียดของสินค้าให้แน่ใจว่าตรงกับสิ่งที่ท่านต้องการก่อนทำการสั่งซื้อ .. 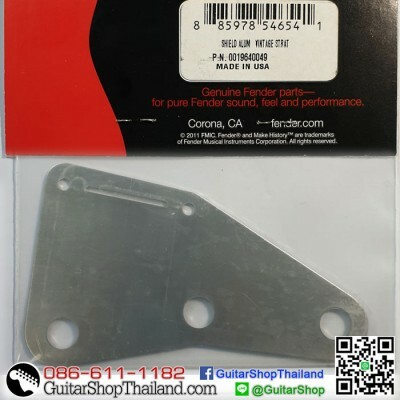 Condition: Newก้านคันโยกกีตาร์สตรัท Fender Ultra / Deluxe Stratocaster Snap-In Genuine Fender Ultra / Deluxe Stratocaster Snap-In Tremolo ArmSpecifications:Fender Part No : 0036534049Fender replacement Stratocaster tremolo arm Snap-in designFits American Deluxe and Ultra Series Stratocaster models from 1986 to the presentDoes not include tremolo tip*กรุณาตรวจสอบขนาดและรายละเอียดของสินค้าให้แน่ใจว่าตรงกับสิ่งที่ท่านต้องการก่อนทำการสั่งซื้อ.. 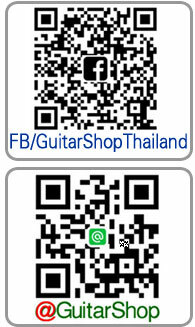 Condition: Newก้านคันโยกกีตาร์สตรัท Fender Ultra / Deluxe Stratocaster Snap-In Genuine Fender Ultra / Deluxe Stratocaster Snap-In Tremolo ArmSpecifications:Fender Part No : 0059238000Fender replacement Stratocaster tremolo arm Snap-in designFits American Deluxe and Ultra Series Stratocaster models from 1986 to the presentDoes not include tremolo tip*กรุณาตรวจสอบขนาดและรายละเอียดของสินค้าให้แน่ใจว่าตรงกับสิ่งที่ท่านต้องการก่อนทำการสั่งซื้อ..